ABILITY AT COURSE END: Ability to sail in light winds under sypervision. COURSE DESCRIPTION This two day course is a great introduction to sailing and specifically designed for under 16’s to get a taste of sailing under the guidance of our qualified instructors. First get to grips with the basics and how to rig your boat. Then you are out on the water in your dinghy with an instructor, getting your first taste of controlling the speed and direction you sail in. By the end of this course you will have a basic understanding of how a boat sails and some experience of steering and handling the boat. Stages 2 and 3 will complete your introduction to the sport in 3 easy stages.A brilliant starting point for youngsters. 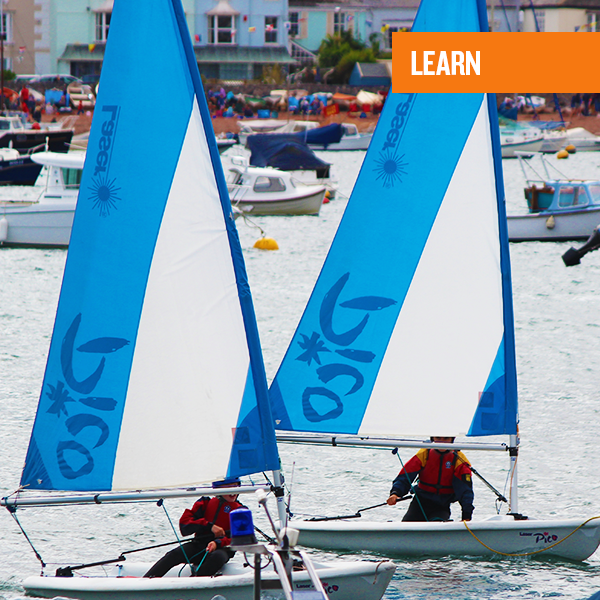 The RYA Youth sailing scheme is designed for children up to the age of 16. In addition to this, AALA set a lower age limit of 8 years old to ensure each child has a certain level of water confidence.